- Range : 9% to 30% moisture content. - 9 material species groups in memory. We introduce Lutron brand best Taiwan make digital wood moisture meter MS-7000, having range 9% to 30%. having max, min. Data hold and self calibration facility. 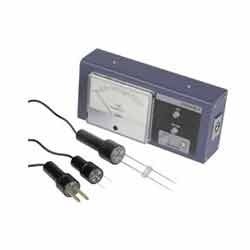 instrument is supplied with test probe. 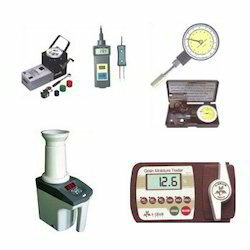 Timber Moisture Meter offeredcomes developed using latest technology support and finds industry sectors, these moisture meters also feature compact construction finish and easy to use working interface. - Moisture measuring range available with suitable sensor to meet any individual requirement. - Different type of detachable moisture measuring electrodes available to meet any individual requirement. - System available with computer interface for lot wise and sort wise data storage. Cermet II & Cermet II I.S.